Philip B Scalp and Hair offers a vast range of Hair care and Bath and Body products. They cater for every hair type for beautiful, shiny, nourished and hydrated hair. Philip B Scalp and Hair has a complete collection of products to achieve healthy hair and scalp including shampoos, conditioners, rejuvenating oil, shine spray and styling gels to protect, define and style. 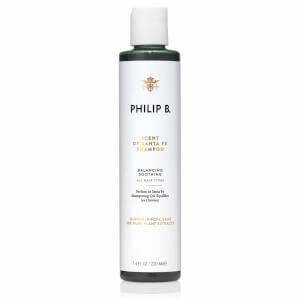 The Philip B. brand was born in Hollywood, and has revolutionised the hair care industry with award winning formulas that incorporate botanical extracts and essential oils into every highly effective product. After a successful career as a stylist and hair treatment expert, Philip B. decided to formulate his own natural products that would minimise the damage and reduce issues he was seeing in his own clients’ hair.